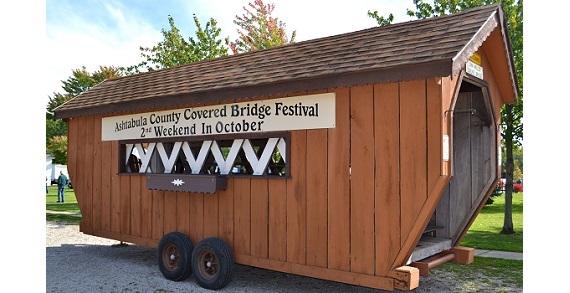 The central festival has food vendors, a large craft show, a stage with entertainment, a parade, antique cars and tractors, kids activities and more. 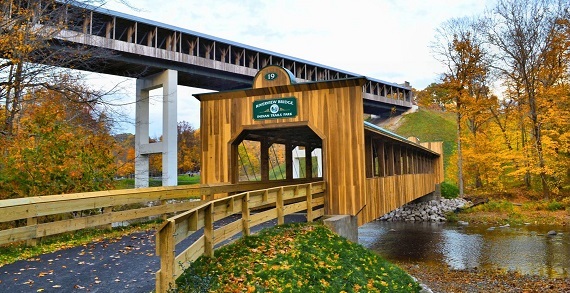 There are 19 covered bridges that also have non profit organizations like Boys and Girls Scouts, Habitat for Humanity, Fire Departments and animal rescues set up. Some are decorated for fall. Driving around to the bridges in the fall is a great way to spend a weekend.